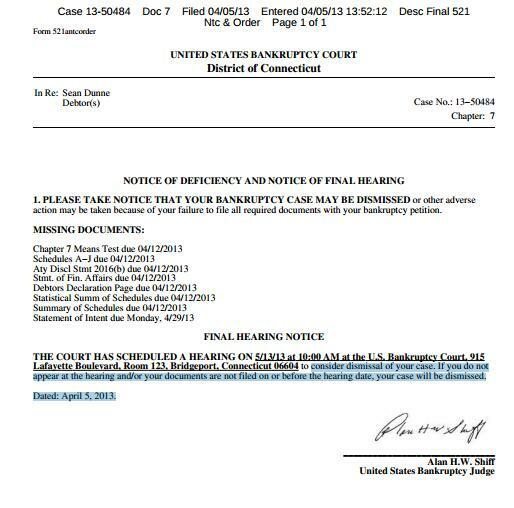 Given that Sean Dunne has engaged the Stamford “Bankruptcy Lawyer of the Year” James Berman, the omission of certain documents from the original bankruptcy filing in Connecticut on Good Friday is probably just an administrative matter, though I will say there is intense interest in Sean’s statement of financial affairs for a number of reasons including possible visa issues. So, Sean needs to start filing the documents which the Judge says were omitted from the original filing. Those documents will be brought to you here, as and when they are eventually filed. It’s only the Sisters of Mercy so NAMA CEO Brendan McDonagh’s soul is probably safe for the time being, but the appointment of receivers to a trust controlled by a religious order this week raised a few smiles. It is one of five organizations which yesterday’s edition of Iris Oifigiul revealed had receivers appointed at NAMA’s behest. The “St Brendans Trust” story has been covered here, and in fact relates to a loan for a 17-acre plot of land which the nuns sold to local property development company, Galvin Developments in 2006 for €30m. The transfer wasn’t registered and although the commercial benefit was transferred to Galvin, the legal ownership remained with the Trust which is why NAMA had Gearoid Costelloe of Grant Thornton appointed as receiver on 27th March 2013. There is a further issue alluded to in today’s Irish Times and that is the acceptance by the Trust of an AIB mortgage on the land which the Irish Times claims “effectively” creates a liability. The second and third companies to which NAMA had receivers appointed is Galvin Developments (Killarney) Limited and Souter Enterprises Limited (formerly Mowlam Residential Care Limited) though it should be stressed that the receiver has been appointed to assets and not the companies generally. Galvin and Mowlam were the developers of the land acquired from the sisters. The directors of Galvin Developments (Killarney) Limited are Denis Galvin, Jeremiah Galvin (51), Colm Galvin (53) and the company is owned by Denis Galvin (25%), Jeremiah Galvin (37.5%) and Colm Galvin (37.5%). Souter Enterprises is controlled by our old friends, Joe Hanrahan and John Shee. Its directors are Joe Hanrahan (51) and John Shee (62) and the company is owned by Cracken Properties (Holdings) Ltd which is turn owned by Messrs Hanrahan and Shee. 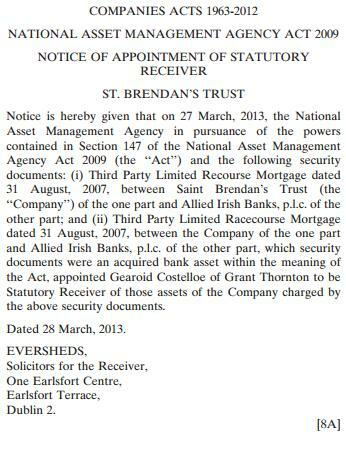 NAMA had Gearoid Costelloe of Grant Thornton appointed as receiver on 27th March 2013. The fourth company to which NAMA had receivers appointed is Lonnegan Trading Company Limited which is controlled by Jerry O’Reilly and none other than David Courtney, many of whose loans NAMA has packaged up in Project Aspen which is close to a sale. Its directors are David Courtney (51) and Jerry O’Reilly (67). The company is owned by Korelo Limited which is in turn by NAMA top developer, David Courtney, Bernard McNamara, Bernard Doyle, Jeremiah O’Reilly (Jerry O’Reilly) and Ranelagh Srh Ltd. Ranelagh Srh Limited is owned by David Courtney, Bernard McNamara, Bernard Doyle, Jeremiah O’Reilly (Jerry O’Reilly) and Terry Sweeney. NAMA had Kieran McCarthy of Hughes Blake appointed as receiver on 28th March 2013. And finally, NAMA had receivers appointed to more assets at Pat Neville and Sons Limited, the Waterford development company whose principal, Pat Neville died in the United States last year. The asset identified in this receivership is “Unit 3, Site 8,Blanchardstown Corporate Park, Dublin 15” and Ken Fennell of Kavanagh Fennell was appointed receiver on 27th March 2013. Last week, Roisin Burke in the Sunday Independent reported that Starwood Capital, the US-headquartered global property investment company, was the top bidder for Project Aspen, the €810m of loans owned by NAMA which relate to some of, though not all, developer David Courtney’s properties. Initial enquiries on here last week indicated the Sindo article was speculation and it was ignored. But the Starwood bid has been confirmed this week by usually-reliable sources, with final bids having been submitted on Tuesday last to Eastdil, which is managing the sale on behalf of NAMA, with additional news that Pimco is the second-highest bidder. All fine and dandy, so far, another shower of foreign investors buying a barrowload of Irish assets. What is generating ructions in the property world though, is the association of David Courtney – the Dublin developer whose loans are being flogged – with the Starwood bid. The Sunday Independent claimed “David Courtney, a top NAMA client, has teamed up with US investment firm Starwood and local finance house Key Capital to bid for the loan book.” Rival parties are whinging – as loudly as they can without burning their bridges with NAMA – that if the Sindo story is true, what is the point of any investor bidding for NAMA assets when the original borrower can simply team up with one specific bidder and use their inside knowledge to enhance the bid, and afterwards pick up a lucrative role managing the asset. David Courtney’s role in the Starwood bid in unclear with the Sindo and some confidential contact on here suggesting he is right now central to the bid, though he is not providing funding. There has been talk of David approaching Andrew Gunne at Key Capital which in turn attracted the attention of Starwood Capital to the portfolio. Others suggest that David is entirely removed from the bid, but is likely to be part of the future management of the portfolio under Starwood, should Starwood win the bidding. Indeed, there may be unease in NAMA itself about David’s precise role in the bid. NAMA is proscribed by the NAMA Act from selling assets to defaulting debtors, and in 2011, when the Grehan brothers were associated with a consortium’s bid for their UK Glenkerrin assets, it is understood that NAMA was dismissive of the notion. But, on the other hand, NAMA has sold the €250m Donal Mulryan UK loan portfolio to Morgan Stanley, and Donal himself is employed to manage those assets. NAMA doesn’t comment on individual transactions, and it is clear that the bidding for the Project Aspen portfolio has been fierce, though alas, that won’t be reflected in the final price which is likely to be around €200m or 25c in the euro. It seems though that if Starwood wins the Project Aspen bidding, the future role of David Courtney will be closely scrutinized by NAMA and the market. Developers themselves are wryly observing that the likes of Starwood are chasing returns from Irish property, which internally in those organizations, are targeted at 20% per annum. If NAMA is supposed to be an asset management agency, then why is NAMA itself not delivering returns of 20% rather than “gifting” them to international investors? Investigating the Starwood bid during the week uncovered another hitherto-unreported bid for a second portfolio, a portfolio which has not yet been pitched by NAMA to the market generally. It seems that Starwood has submitted a second bid on a €120m par value portfolio relating to some of NAMA Top 30 developer, John Flynn’s assets including the Harcourt Street Children’s Hospital, a 50% stake in Burlington Plaza and Belfield Office Park. John might be most associated with the development of Smithfield, and partnered up with other Irish developers in commercial and residential developments across Dublin. NAMA is understood to be slowly considering the bid in light of its newly-acquired experience with bundling loans up for sale. UPDATE: 27th April, 2013. Sources close to the matter claim that the Project Aspen sale has been closed at €180m or 22c in the euro and that Starwood Capital (SWC) was the winning bidder. NAMA doesn’t comment on individual sales. There was no comment from SWC at time of writing. I’m still scratching my head, and I don’t think I’m the only one. At the ECB press conference on Thursday, the president Mario Draghi was predictably asked about developments in Cyprus. 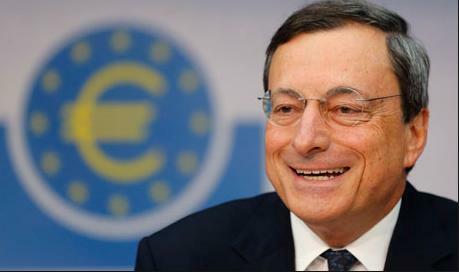 But not once was he asked how much support was now being provided by the ECB to Cypriot banks. Just before the original bailout proposal mid-March 2013, the ECB is understood to have loaned €9-10bn to Cypriot banks. Then there was the scarifying proposal to tax all deposits, even small ones, at 6.75-9.9%. And the banks were closed for 12 days. And then we learned that credit card spending didn’t count as a deposit withdrawal, so you could have bought a Lamborghini on your credit card for €300,000 whilst the banks were closed and then told the bank that your €400,000 deposit was completely safe because once you deducted the €300,000 credit card charge, your deposit was below €100,000! In keeping with the religious context of filing for bankruptcy late on Good Friday, Sean Dunne used language last heard in Galway in 1979 when he addressed “People of Ireland” in an open mike platform provided by the Sunday Independent last weekend (even a blog wouldn’t be that generous, editorially). The image of Sean in his three-piece suit and Barney-the-Dinosaur tie amidst the skyscrapers on Fifth Avenue didn’t win him sympathy, but then again, why should Sean be seeking sympathy from a country which hasn’t yet learned to handle business failure. Sean’s claim, though, that taxes and levies paid during a lifetime of property development meant he was even-stevens with the nation despite a €185m judgment in favour of NAMA, did rankle with people generally. This is how the IMF represented the promissory note deal effected in February 2013. 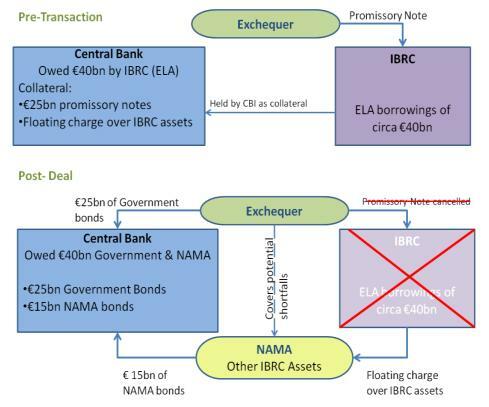 You can clearly see the €27bn of promissory notes which we were due to pay down over the next 18 years, and these have been replaced with a mix of sovereign bonds and NAMA bonds. The NAMA bonds are an advance payment for loans that may be coming NAMA’s way later in the year. If David Hall’s challenge to the legality of the promissory notes were to have succeeded, then the decision to exchange sovereign bonds for illegal promissory notes may go down as the worst single economic decision in the history of the State. RTE Bingo. 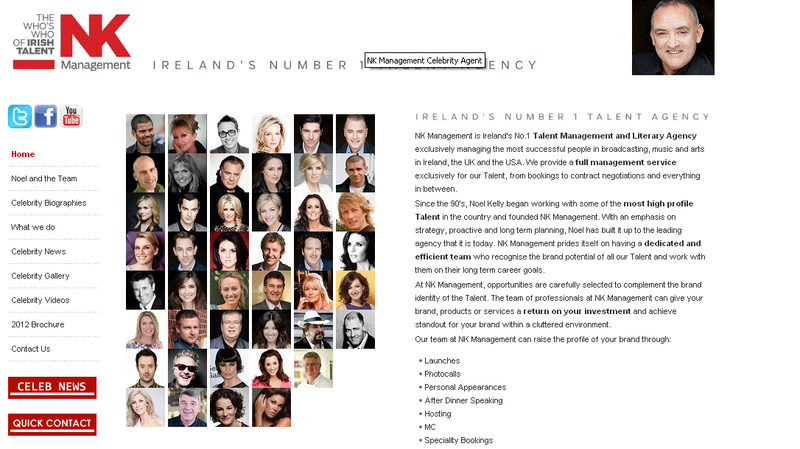 This is a brand new game and involves players printing off their own bingo cards by going to the websites of the main talent agencies in Ireland and printing off a list of the “stars” represented by that specific agent, for example, Noel Kelly manages many of Ireland’s top stars. You then watch your favorite RTE shows to see what “star” has another “star” from the same stable on their show. The show was inspired by Ryan Tubridy, pictured below next to what his agent would love to be his future incarnation, Henry Kelly who used work for the BBC as a presenter and DJ – kinda what Ryan does now in fact. Last week, Ryan presented the Late Late show as usual on RTE 1 and it is the first time in many years that I have seen it, partly because RTE had a couple of days previously released its presenters’ salary details which showed Ryan now on €495,000. And lo and behold, amongst the various advertorials for records and gigs, some other presenter turned up who didn’t seem all that newsworthy and certainly didn’t seem to be plugging anything in particular, and it turns out that Maura Derrane is a stablemate of Ryan’s at Noel Kelly management. Someplace, Noel Kelly must have been rubbing his hands with a €495,000 presenter on national TV promoting another of his presenters, making it easier for him to negotiate both their contracts on which he gets an estimated 15%. There’s no fixed prize for getting a full house, but morally you might consider the talent agency owes you something. 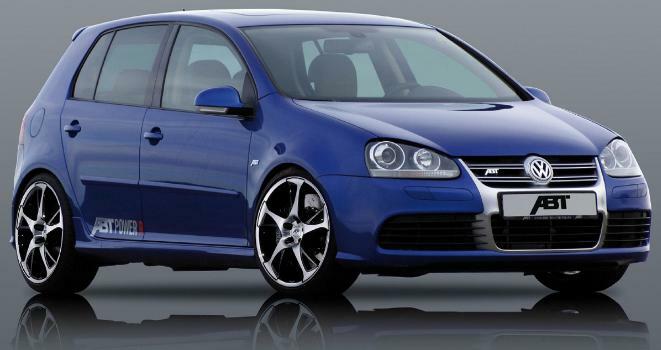 The Volkswagen Golf was the best-selling car in Ireland during the first three months of 2013, according to the Society of the Irish Motor Industry, which issued a statement this week revealing that new car sales were down 14% in Q1,2013 compared to the same period last year. Sales in the month of March 2013 were down 10%. The best-selling marques were Volkswagen, Toyota and Ford and the best-selling models, the Golf, Nissan Qashqai and Ford Focus. “Marriage” (©, used with permission from Susan Philips who claimed the word belonged to her during a debate on gay marriage on RTE Prime Time this week). Putting gay marriage on the same footing as traditional marriage is a knotty issue is many countries, the US, the UK and now Ireland. Here, the Government had thought it had kicked the issue into the long grass by passing the parcel to the Constitutional Convention, but it looks as if it will be reporting its recommendations on the matter imminently, and with a (small) majority nationally in support of gay marriage, it seems that we are to have change here soon. And as elsewhere, there is resistance and during the week, we were treated to the kind of debate which might become commonplace in the not-too-distant future. The matter was discussed on RTE’s Prime Time, available here on RTE Player, in which “political analyst, community activist, agribusinesswoman” and now, opposer of gay marriage, Susan Philips memorably claimed marriage as “our word”, presumably meaning traditional couples.